ALLOY WHEELS VOLKSWAGEN GOLF 7 SANTIAGO 18 "
ALLOY WHEELS DEDICATION TESLA MODEL X MODEL S | MONACO GP6 FROM 19 "AND 20"
March 1 2019 the Team Cerchiperauto.it presents the dedicated Tesla MONACO GP6 alloy wheels. Car wheels leading site in the sale of alloy wheels and car tires online. In our car sales site you will have a technician directly available online, who will be able to direct you on the models and help in the selection and completion of the order of alloy wheels of 13, alloy wheels of 14, alloy wheels from 15, 16 alloy wheels, 17 alloy wheels, 18 alloy wheels, 19 alloy wheels, 20 alloy wheels, 21 alloy wheels, 22 alloy wheels, ultralight alloy wheels, wheels alloy wheels and alloy wheels for campers, summer tires, winter tires and 4-season tires from the best manufacturers. 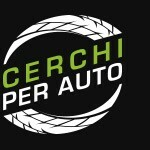 In the online shop cerciperauto.it a wide range and offers alloy wheels, discounts alloy rims and replica wheels and for sports cars, accessories (BC Racing sports suspension, sports seats OMP and Sparco ...) and screws for alloy wheels and for every kind of wheel, also floating hardware and centering rings. Cerchiperauto.it has a powerful car configurator for the choice of alloy wheels ideal for your car. Alloy rims configurator also useful for the choice of car tires and tires such as Bridgestone, Michelin, Landsail, Nexen, Hankook, Kumho, Vredestein, Pirelli, Nankang, Bridgestone, Nankang, Petlas, Michelin and many others. From cerciperauto.it you will find original rims, spare rims, NAD approved rims and ECE onu R124 Wsp Italy. Fast and secure shipping with tracking, secure payment services and the possibility of return; COMPETENCE, SAFETY, QUALITY summarize the characteristics rims for auto srl. In our car sales site you will have a technician directly available online, who will be able to direct you on the models and help in the selection and completion of the order of alloy wheels of 13, alloy wheels of 14, alloy wheels from 15, 16 alloy wheels, 17 alloy wheels, 18 alloy wheels, 19 alloy wheels, 20 alloy wheels, 21 alloy wheels, 22 alloy wheels, ultralight alloy wheels, wheels alloy wheels and alloy wheels for campers. Car wheels offers the possibility of buying winter kit rims and tires, summer kit rims and tires and kit 4 seasons rims and tires already fitted and balanced, packed with shockproof packaging. We offer the possibility of renewing used alloy wheels with alloy wheels coloring service, straightening alloy wheels, welding crooked alloy wheels, and repairing alloy rims. Cerchiperauto.it is present in online sales portals such as Ebay and in major social networks like Facebook, Instagram, Twitter, Google Plus and Youtube.